Tuckman developed his first in 1965 and his theory is widely know as a basis for effective team building. After completing his research Tuckman declared their were two common features amongst the groups he studies. One is the interpersonal or group structures and the other is the task activity. From this he identified that the groups changed into team and the four common stages were developed. The final stage, transforming, was not included into the theory until 1977. 1. Forming- group is getting to know one another, and each individual is trying to figure out their place in the group. 2. Storming- as the group starts to know each other and find their place within the group, a natural result is disagreement and anxiety. The group struggles as they try to find a way to work these differences out and achieve some type of balance. 5. Transforming- group finds closure by adapting lessons and skills learned through the activities to the real world. This theory is a helpful tool for us at Terrapin Adventures to understand more about the groups we will be working with on the course. When planning for a group it is useful to us to pinpoint which stage the group will be in when they arrive. We can plan activities to focus on a certain stage of the group’s formation as a way to help the group work to higher levels of development. 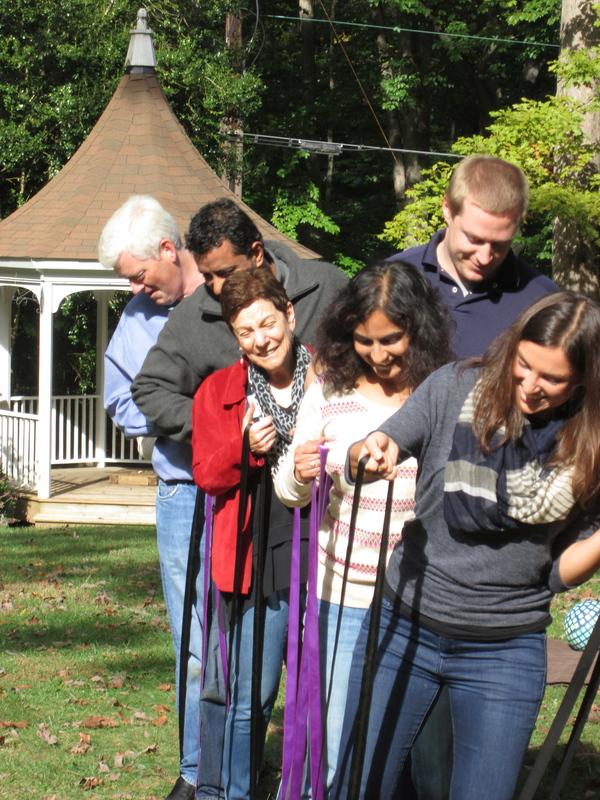 For more information on our team building programs, click here. This entry was posted on Thursday, April 24th, 2014 at 10:00 am. Both comments and pings are currently closed.